The industrial process of germination-which converts hard, insoluble cereals into friable, extractable grains for subsequent use as a food source for humans or yeast – is called malting. 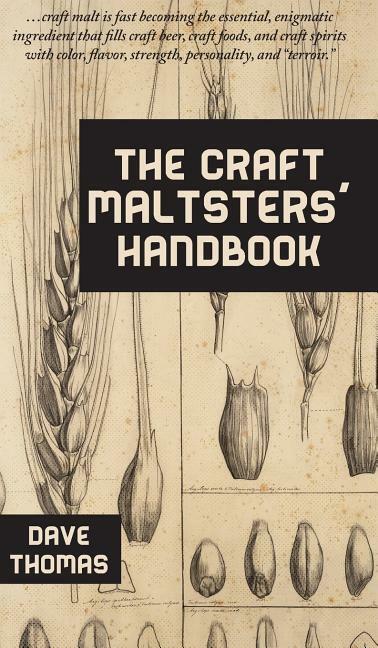 The Craft Maltsters’ Handbook provides an in-depth understanding of the technical and scientific meanings of words and phrases used in malting and is an up-to-date reference on the many types of malts used in brewing and distilling today. The rise in craft micro-malting is a nod to the 19th century men and women who provided the malt for brewing/distilling and part of the growing trend of taking back an art from large multinational corporations who have come to dominate much of agriculture and manufacturing.